The INFINITI Q50 received a major redesign last year and a shake up in its model naming scheme. 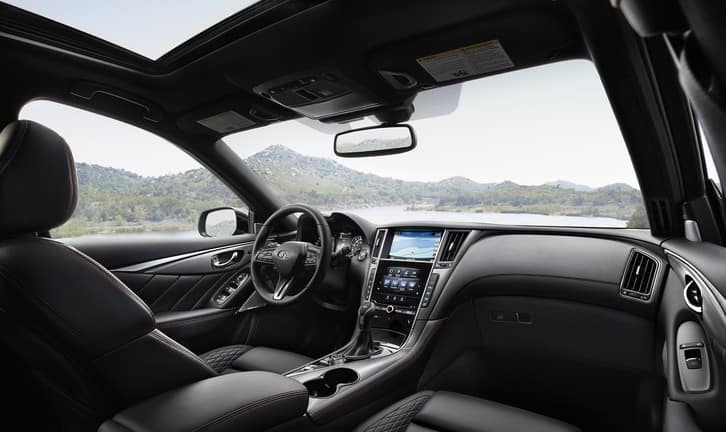 The 2019 INFINITI Q50 keeps in that theme by giving you several updates you’ll be sure to enjoy. Don’t worry, none of your favorite features like INFINITI Intelligent AWD, the power-sliding tinted-glass moonroof and a sporty yet luxurious feel inside have gone away. But let’s take a look at what you can now get in the latest Q50. Let’s start off with the 2 technologies that’ll now come in every 2019 INFINITI Q50 at our dealership serving Englewood & Clifton NJ: forward emergency braking and predictive forward collision warning. These former upgrades are designed to help prevent accidents or minimize the injury you & your passengers will get if one were to occur. Forward emergency braking will give you audible & visual alerts even automatically apply the brakes when it detects you’re approaching the vehicle in front of you too closely. Predictive forward collision warning does the same thing, except it also takes into account the vehicle 2 cars ahead of you. 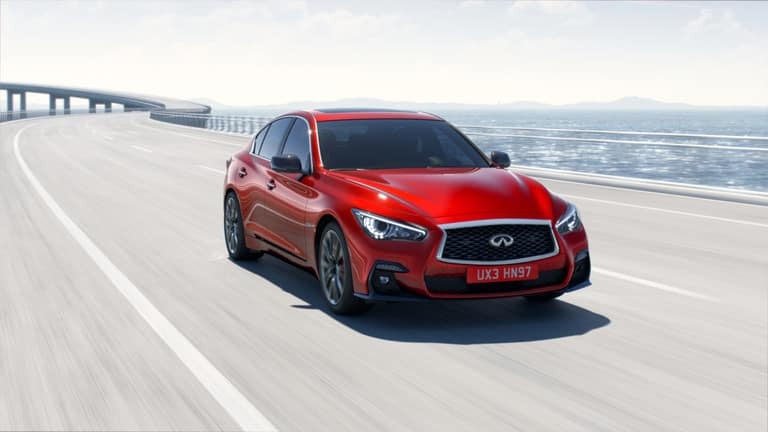 There are 4 2019 INFINITI Q50 models to choose from that now offer more of their own look and character to separate the refined PURE more from the LUXE and the athletic SPORT more from the RED SPORT 400. The same goes with the engine choices offered for the Q50. Only the PURE trim now comes with the 2.0L turbocharged 4-cylinder engine that delivers 208 hp and gets fuel economy rated at up to an EPA-estimated 30 mpg highway. The rest of the models use the 3.0L twin-turbo V6 that delivers either 300 hp in the LUXE & SPORT trims or 400 hp in the RED SPORT 400 trim. 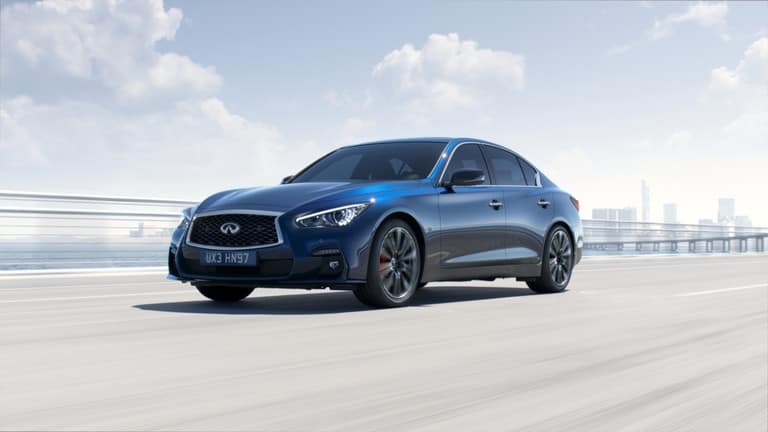 Ramsey INFINITI will help you find the right 2019 INFINITI Q50 for your driving needs at our Bergen County NJ dealership location, so contact our team to learn more about this sporty sedan!